If you have a specific question that is not listed below, feel free to contact us! What’s a Certified Professional Midwife (CPM)? How do you deal with pain management at home? Home birth is statistically safe but is not without occasional complications. Should a problem arise during the course of your pregnancy that is outside my scope of practice, our first step is to refer you to a physician to determine the severity, and in some cases your care may be transferred to an obstetrician. complications arise during pregnancy, you may need to consult with and possibly transfer care to an obstetrician. The midwives who attend your birth are trained to manage immediate emergences including the need for newborn resuscitation and controlling severe bleeding. Because we only care for low-risk, healthy women the incidence of true emergencies are low and in most cases the process unfolds without the need for much intervention. In fact, most hospital transports are for non-emergency issues such as a long labor with no progress. In case of any hospital transport, I stay with you for continued support but your birth will be then clinically managed by an obstetrician. Do I have to get an ultrasound? I don't have a large home, do I have enough space to have a home birth? Absolutely! As long as you are comfortable, can move freely, and your home is clean and warm--then there is no reason why you would not have enough space. I am over 35 years old--is home birth safe for me? Yes! If you are healthy and are willing to play an active role in your care, then you are likely a good candidate for a home birth. Probably. Any surgery to the uterus can leave scar tissue on the uterus that weakens the surrounding the tissue, thereby making women who have had previous c-sections at a slightly higher risk for uterine rupture. This risk is lowest if you have only had one previous uterine surgery, had a low transverse incision, eat a healthy diet, do not smoke, allow at least a year after surgery before becoming pregnant, and labor is not induced. If the reason for surgery does not require another surgery (for example, you had a breech baby or your labor stalled), you may consider having a home birth after cesarean (HBAC). We can discuss this further during a free consultation. Women who are more likely to have problems in pregnancy or during birth are usually safest with obstetrical, hospital-based care. I cannot accept clients with epilepsy, diabetes, high blood pressure, significant heart disease, kidney disease, liver disease, alcoholism, or significant mental illness. Also, women who currently smoke, use drugs (other than occasional marijuana), or do not take responsibility for their health are not good candidates for home birth. I offer care for women who have no major medical or obstetrical problems, who seek an active role in their pregnancies and birth, and desire minimal intervention. By maintaining healthy lifestyles – eating a variety of whole foods, being active, and avoiding harmful substances (such as tobacco, alcohol, and pesticides) – most of my clients remain low-risk and are expected to have a good, normal outcome for both mother and baby. Less than you might think! You’ll need to gather a few common supplies, clean sheets, towels, and receiving blankets, and have food and beverages on hand for your labor and postpartum. You’ll also need to purchase a birth kit (approx. $60), which contains disposable clean and sterile supplies for birth and postpartum. I’ll provide you with a complete list of what you will need. Your midwives will bring all the medical equipment needed at the birth. Anyone you like! You can have a doula, your mother, your best friend, anyone who can provide good support for you during birth and who accepts your decision to give birth at home. Children are welcome, as long as you have a support person for young children. I encourage family-centered birthing and have books and videos to help you prepare your children for the birth. 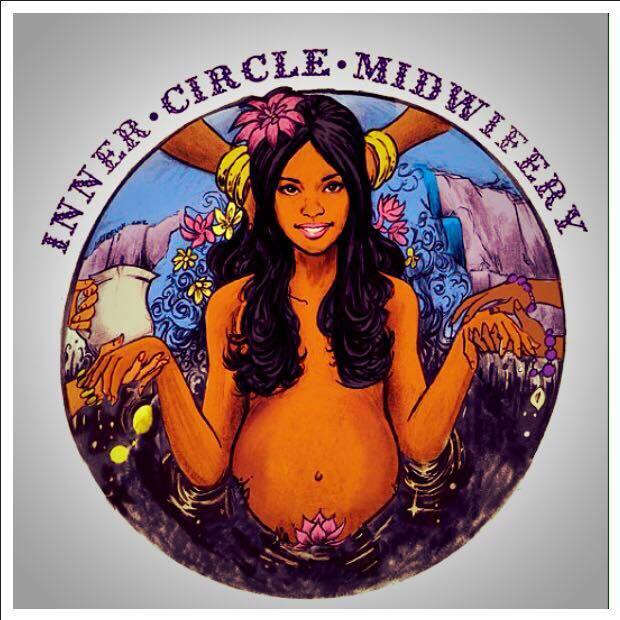 There will be two midwives at your birth – myself and another midwife to assist. We can be as involved or as hands-off as you’d like. We can be by your side, or quietly sit in another room, ready and available. This is your birth experience! You decide who will be present, and how each person will support you. es! We welcome and encourage birthing mothers to utilize the comfort and relaxation of water to help move through labor and often for the actual birth of the baby. Almost every laboring woman will find time in a birthing pool, shower or her own tub to be a useful tool in the birthing process. We encourage our clients to keep an open mind as to whether or not they will actually give birth in the tub as one never knows what one (or baby!) will need at the time, but we are very happy to offer waterbirth as an option for our clients. Please ask your midwife about options for tub rental (AquaDoula) or borrowing an inflatable birth pool (Birth Pool in a Box) for your labor and birth. Therefore, it has been suggested that the bath be used in a “trial of water” for at least one hour and allow the mother to judge its effectiveness. The first hour of relaxation in the pool is usually the best. We’ve seen that being in the tub during transition can be especially helpful and often help a woman achieve complete dilation quickly.